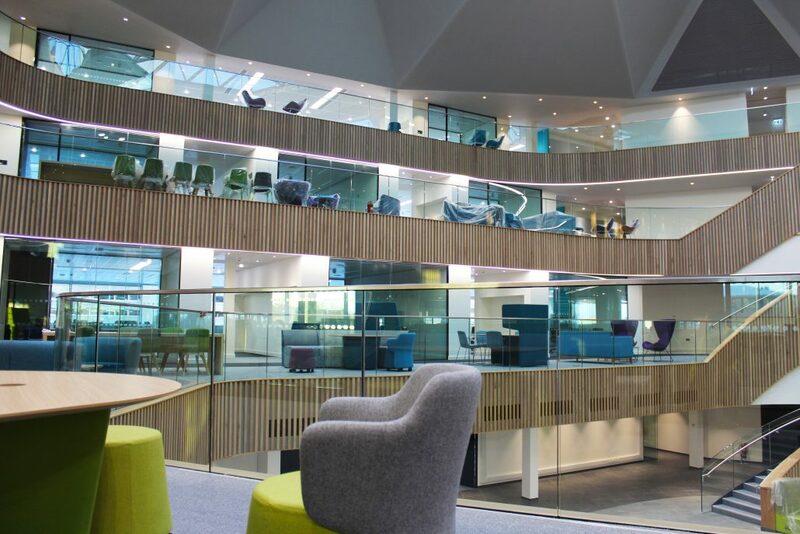 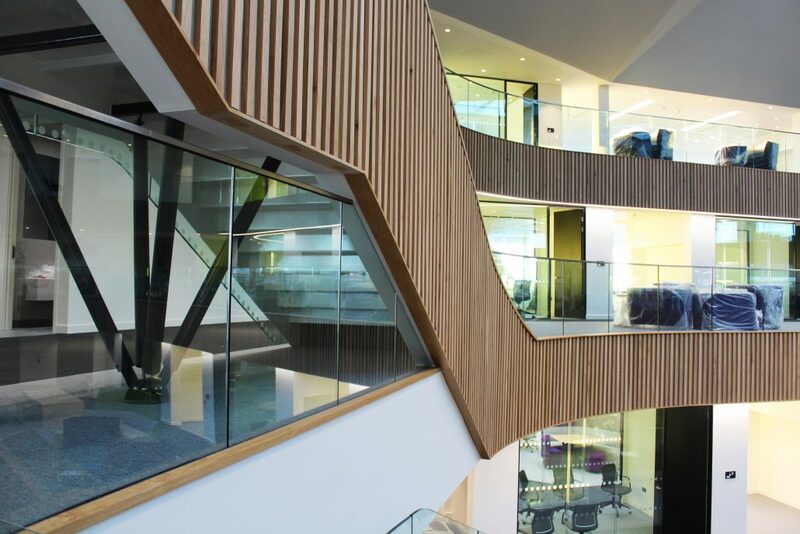 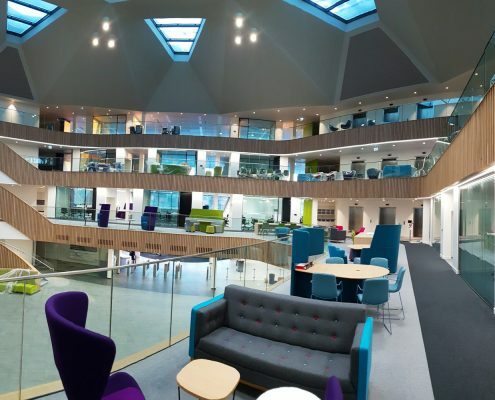 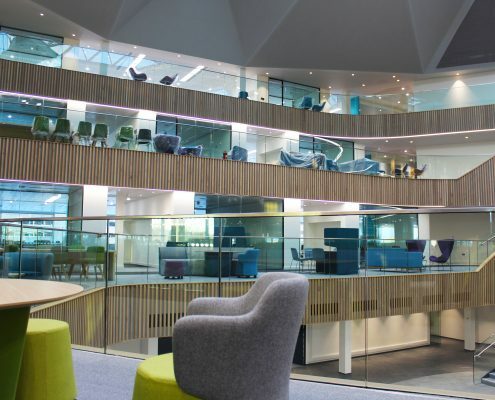 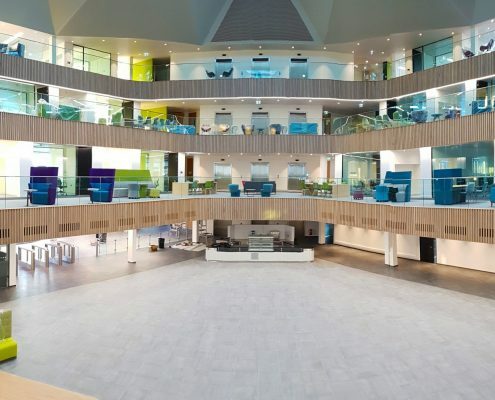 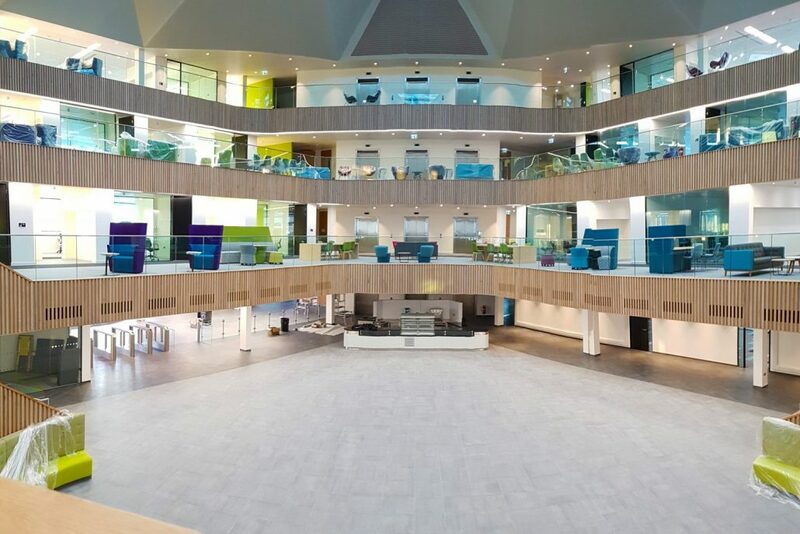 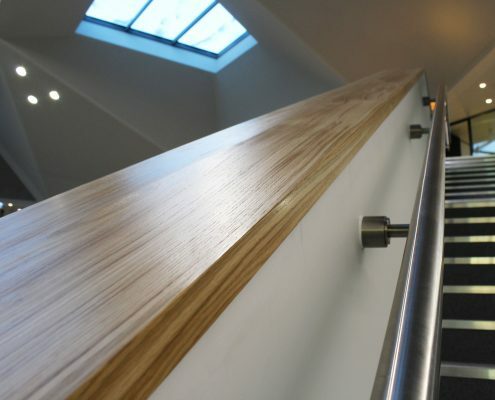 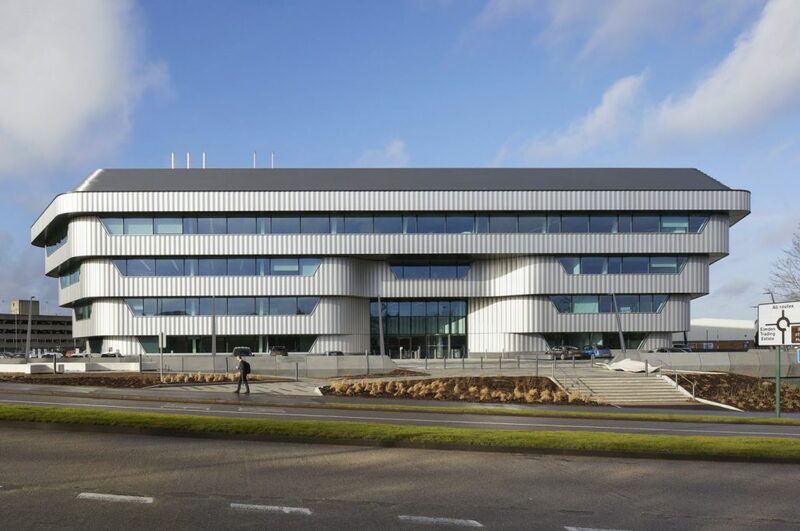 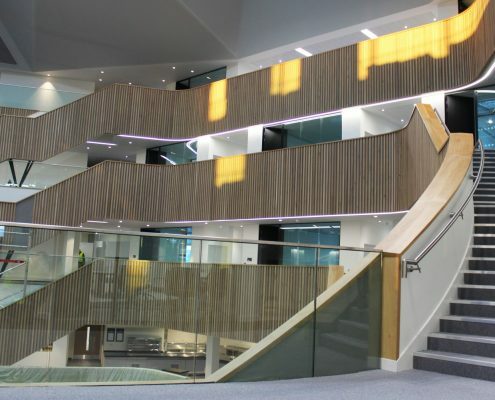 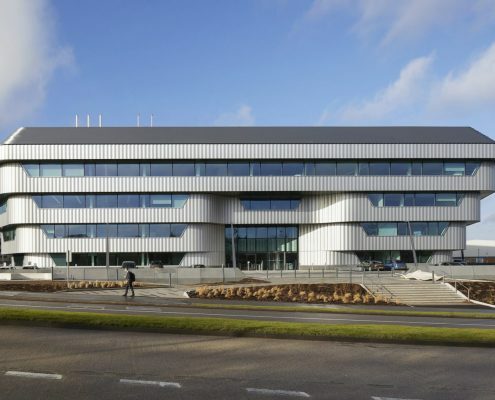 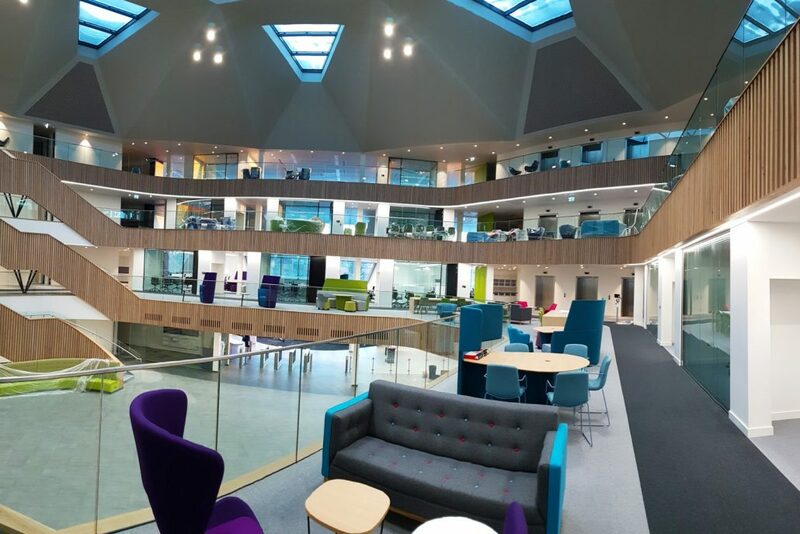 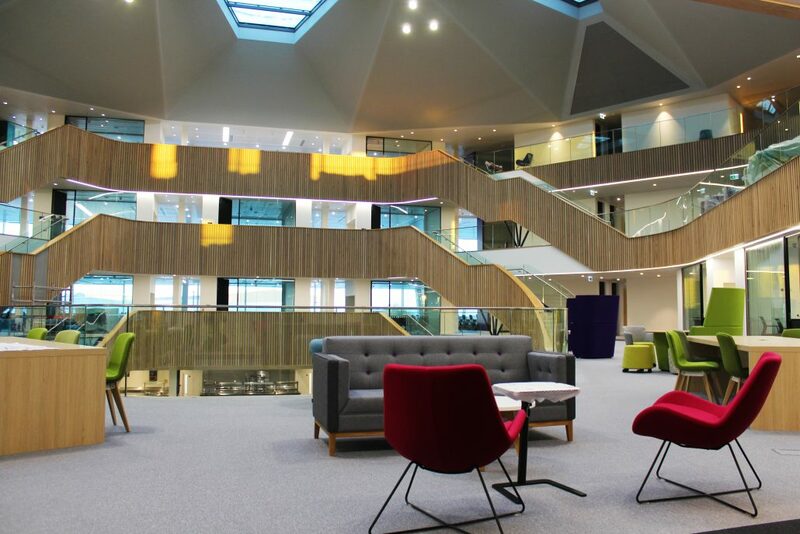 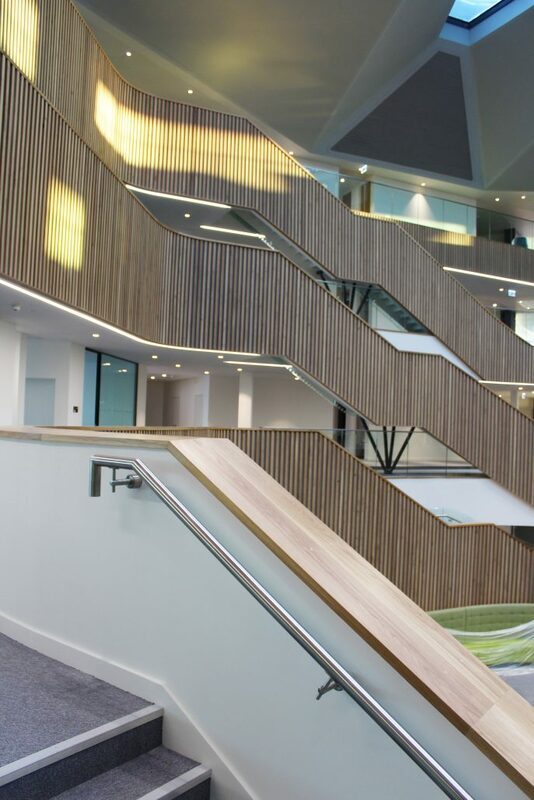 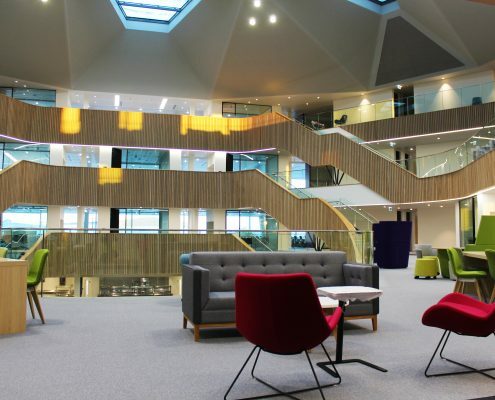 Handrail Creations once again proved why they are the UK’s leading supplier of timber handrails by manufacturing hundreds of metres of curved handrails and capping for Interserve’s brand new offices in Birmingham. 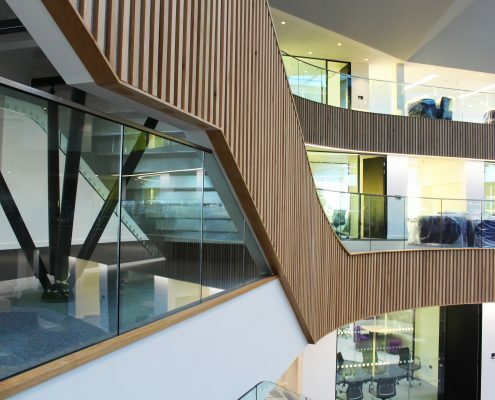 The 130,000 sq foot building will be home to the construction giant, and is designed around a central atrium, clad in European Oak. 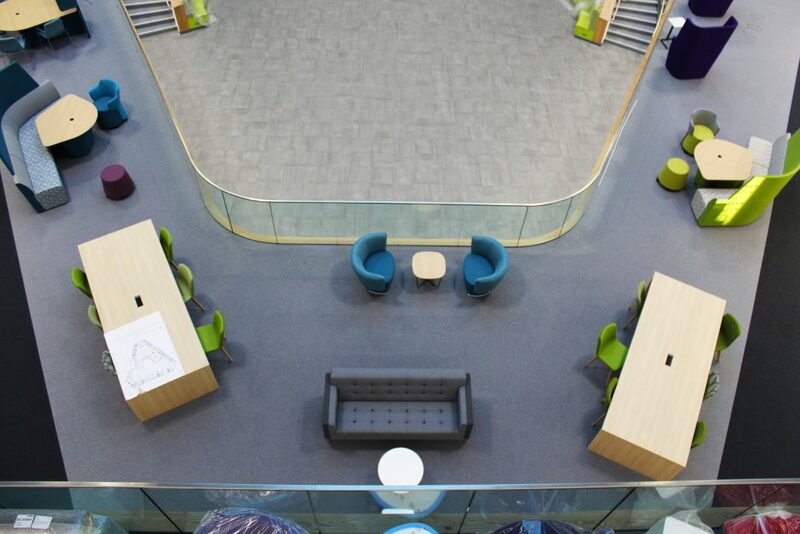 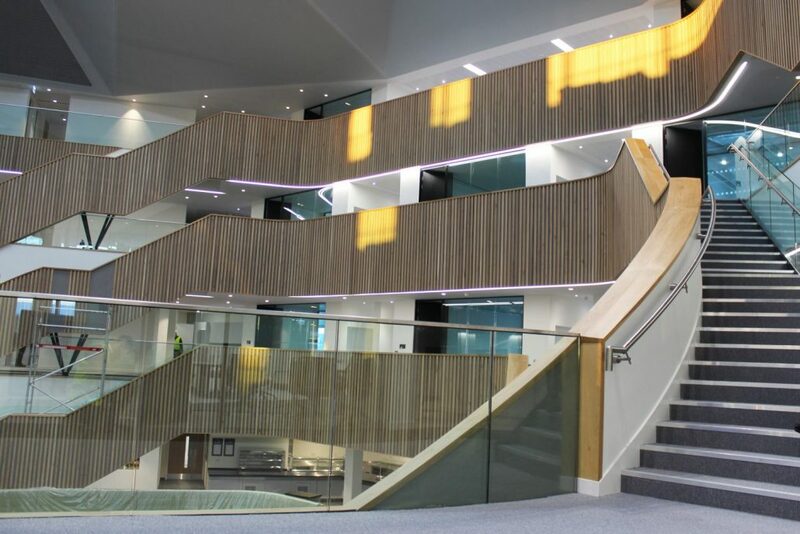 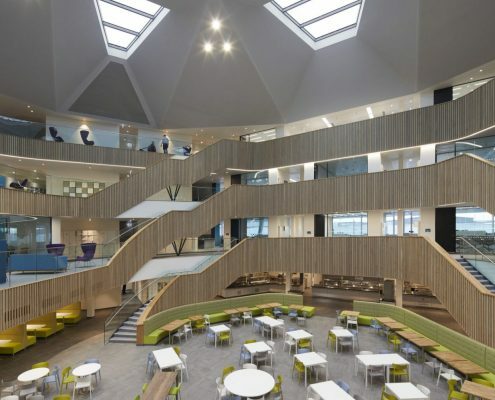 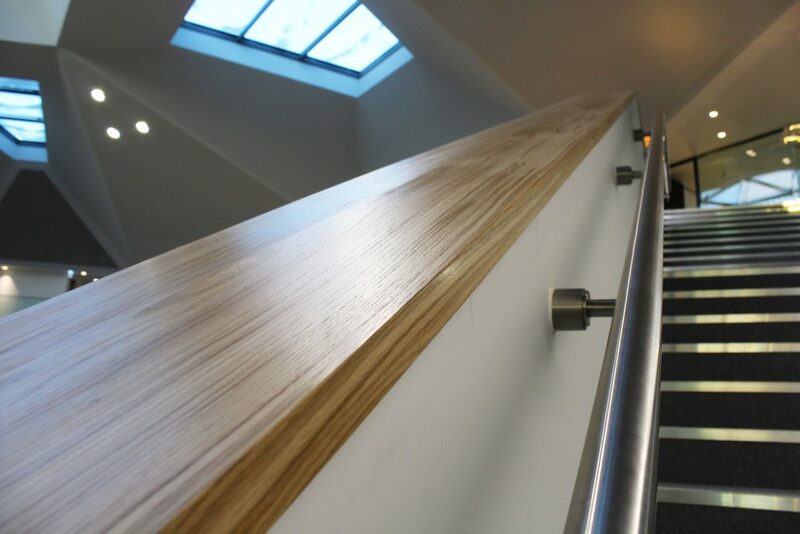 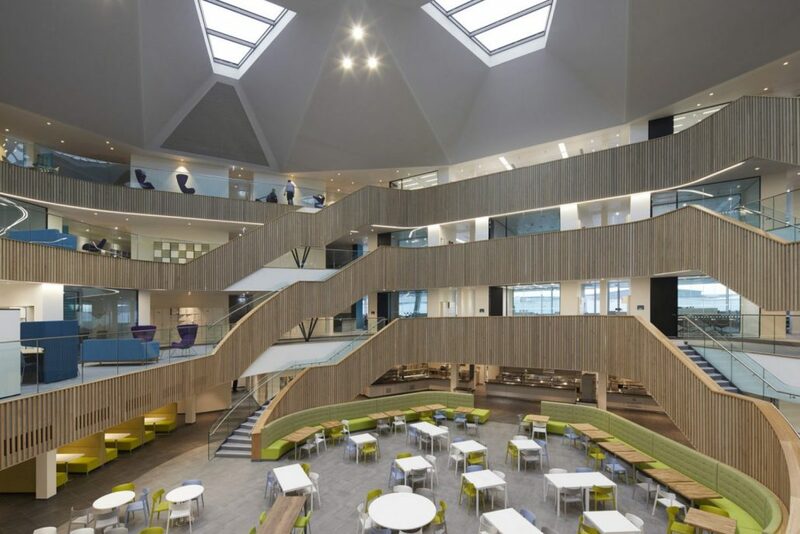 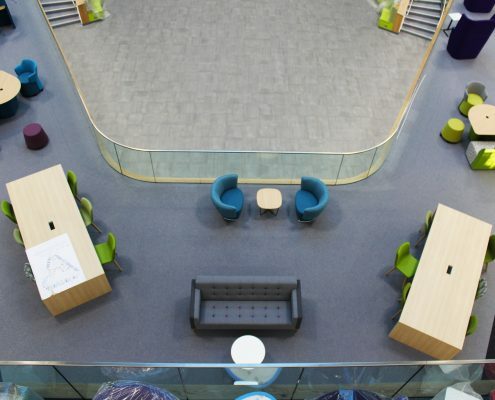 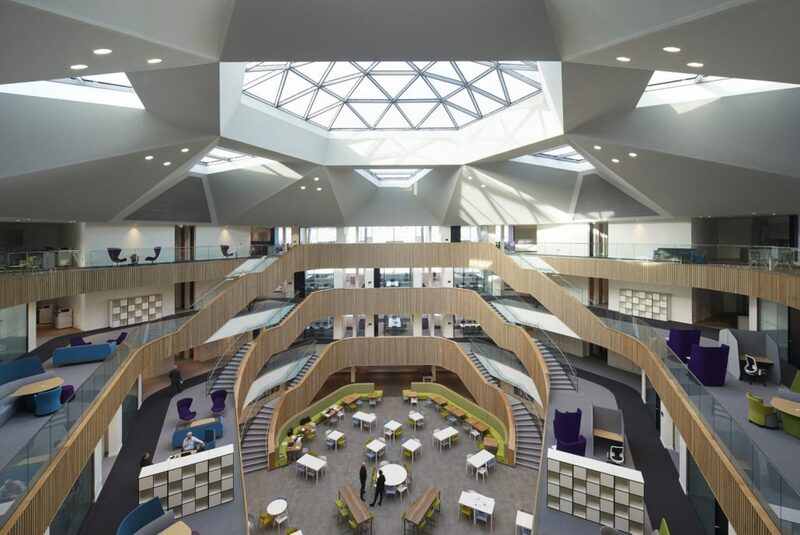 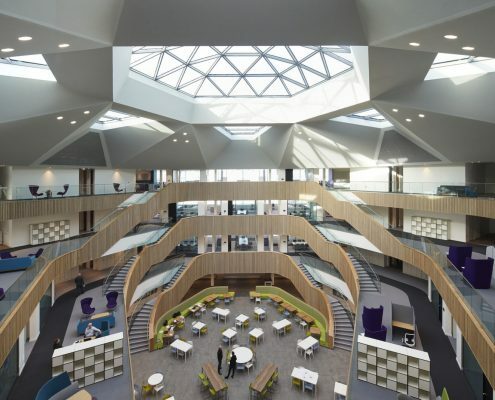 We had a matter of weeks to survey and manufacture over 350 metres of curved, helical and straight capping for the atrium, plus over 100 metres of a tailor made leaning rail which was over 320mm wide, and manufactured from a super prime grade Oak. 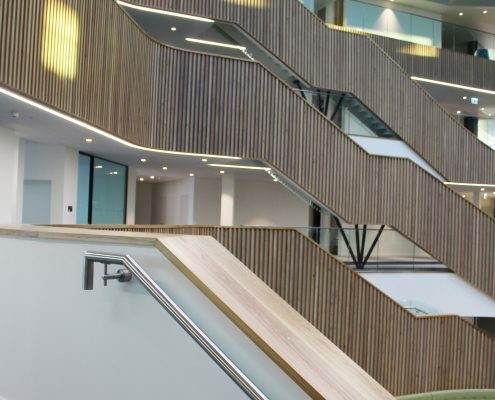 Our recent expansion allows us to produce faster and more accurately than ever before, meaning we can respond to the UK’s increasing demanding construction schedules.